The voice of a popular radio personality from the '60s and '70s past is returning to the local airwaves -- Terry Lee, who hosted a nightly show on former McKeesport station WIXZ-AM, and on its former incarnation as WMCK-AM. 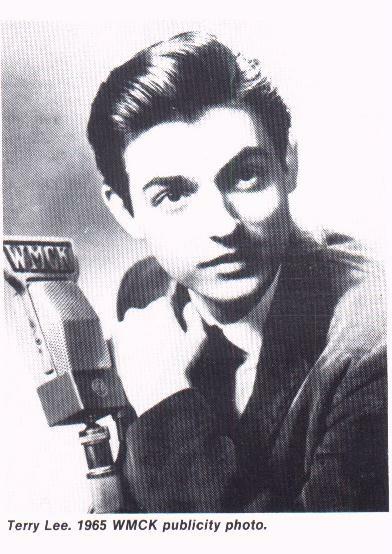 Lee's signature "Music for Young Lovers" made him one of the city's most listened to DJs. Lee left Pittsburgh and did a nationally syndicated version of "Music for Young Lovers" in the 1980s -- which never ran here. "This is the same show that ran in syndication across the country 20 years ago but has never been heard in Pittsburgh," Lee wrote in his blog. "It will be fun to have the radio show back on the air again in Pittsburgh. After all these years, I'm thankful there is still an interest in it." Lee's weekly two-hour show will air on Scottdale station WLSW-FM (103.9) Saturdays from 10 p.m. to midnight. The addition shifts WLSW's regular Saturday schedule. Charlie Apple will be on from noon to 5 p.m., followed by Jerry Braverman from 5 to 10 p.m.
Lee also has several CD collections of his old WMCK and WIXZ shows, which are available through his Web site, www.tlsoundco.com. Click on T.L. 's photo to hear some of Terry's show and promo samples at Randy McDaniels' WIXZ 1360 MEMORIES.